The Question was posed – Why Protect Water you cannot drink? Sign Sign every where a sign – Water is not for Human Consumption? Surely that alone must raise your hackles – of course water is for Human consumption. This sign is really incorrect and moderately offensive. 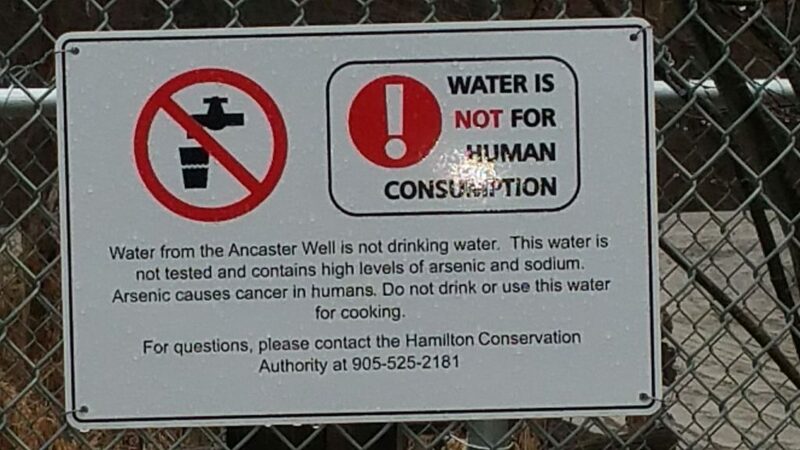 Please note that there is no referring health clause or legislation noted on this sign – it is entirely the creation of the Hamilton Conservation Authority – by their own decree. Arsenic is naturally present at high levels in the groundwater of a number of countries. Arsenic is highly toxic in its inorganic form. Inorganic arsenic refers to arsenic atoms that occur in their pure, metallic form, or in compounds where they are bonded to other non-carbon elements, such as in arsenic trichloride AsCl3. The rules around Arsenic are for Inorganic Contaminants and should not be applied to organically occurring Arsenic. But can a toxic element really be necessary for life? A growing body of evidence says yes. Some toxic metals, in trace amounts, might actually be essential nutrients, according an analysis in the journal EMBO Reports. In fact, scientists have found that the body needs arsenic, at a level of 0.00001 percent, to grow and maintain a healthy nervous system, according to Chemicool. ← Will the next Ancaster, Dundas, Hamilton West Councillor do right by the Ancaster Well? 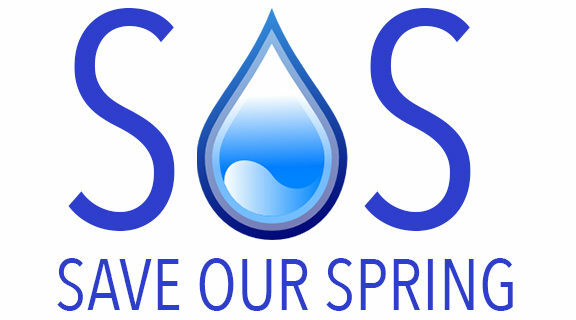 – Save Our Spring asks you! – If you were elected Councillor would you make this situation, right?